Wintergreen oil is acquired from shrubby evergreen plant scientifically known as Gaultheria procumbens which belongs to Ericaceae family. It contain aromatic compound that is methyl salicylate used for mint like flavoring. It has long stem, oval and glossy green leaves and white blooms which change into edible bright red berries. It well grows in organic soils in shady locations like mountains, forest and moist regions and it is native to North America mainly in Northeast United States and Canada. Wintergreen essential oil is obtained from leaves of Gaultheria procumbens through steam distillation method following maceration in warm water. Wintergreen oil is mainly constitute of methyl salicylates and others are alpha pinene, myrcene, delta-3 carene, limonene, 3, 7 guaiadiene and delta cadinene. 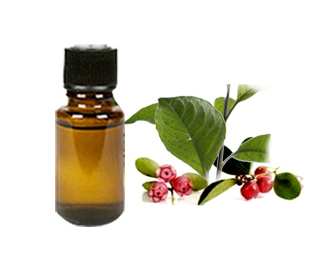 Wintergreen oil is pinkish yellow or pale yellow in appearance and has sweet, fresh and woody odor and minty in flavor. It is widely used in foods, teas, aromatherapy, household and beauty products. Wintergreen oil is used in perfumery and as also used in flavoring agent for toothpaste, chewing gum, soft drinks confectionary, listerine and mint flavorings. Wintergreen oil is used in aromatherapy as it provide relaxation in muscle and joint discomfort. It provide relief in arthritis, cellulite, obesity, hypertension, rheumatism, tendrities, cramps, inflammation, eczema, hair care, psoriasis, gout, ulcers and broken and bruised bones. It improves blood circulation and helps in heart diseases. It provide relieve in sore throat, fever and various aches and pains. It is used for dental hygiene products such as mouthwash and toothpastes. It is used in topical creams and massage blends because of its soothing properties. It is used in microscopy because of its high refractive index. Wintergreen oil have application in rust removal and degreasing of machinery. Wintergreen has a refreshing aroma that uplifts mind so it is used in topical creams and massage blends. It has antioxidant property, energizing and immune enhancing so that it helps in lowering inflammation and reducing pain. It is added to liniments and topical pain relievers. It promotes skin as it tones up skin and prevent acne. It encourages hair health, it prevents dandruff, promote healthy hair roots which prevent hair fall. Do not ingest methyl salicylate not even in diluted preparation as it is extremely toxic, if ingested, it may lead to severe burning, and blistering of skin. Do not use during pregnancy, nursing moms & epileptics and keep out of reach from children. It may cause certain allergic reactions such as hives, difficulty breathing and swelling of face, tongue, lips or throat and also can cause pain severe burning, blistering of skin.